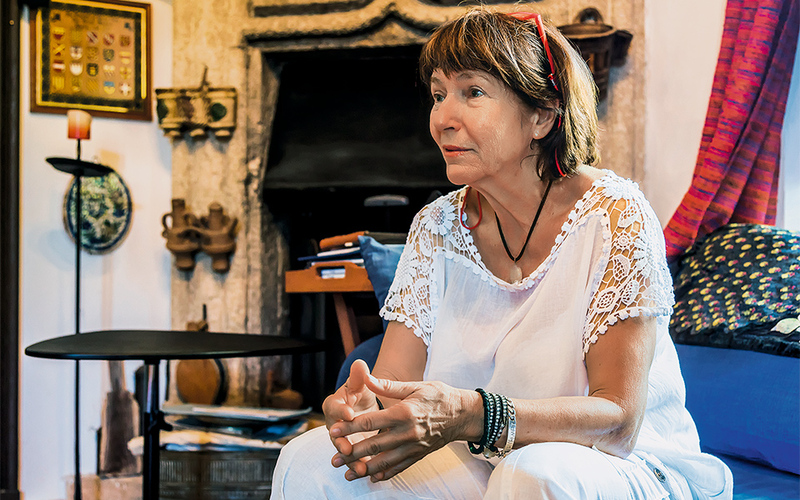 Archaeologist Maria Kollia, president of the Association for the Preservation of Rhodes’ Architectural and Cultural Heritage, has lived in a beautiful house on the Street of the Knights for more than 45 years. She remembers when fellow residents used to festoon the street with their drying laundry (a custom that is prohibited today) and she recalls, too, the milkman bringing fresh milk to her doorstep every day. Giorgos was taught the art of painting religious icons in the monastic community of Meteora in central Greece and then went to Italy to study the fresco method of mural painting. So far, he has done icon work for 30 churches across the island. 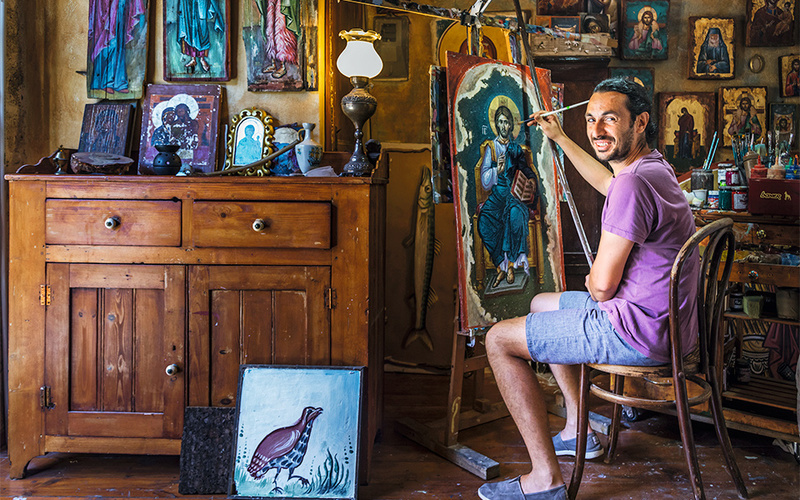 Passionate about his art, he shows tourists who are interested in Byzantine churches around and then takes them back to his workshop where they get to make their own fresco paintings to take back home. 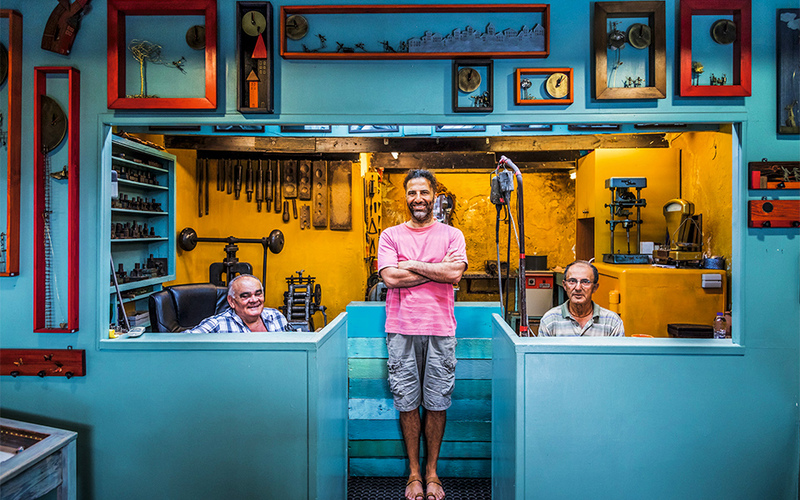 Lefteris practically grew up in his father’s goldsmith’s workshop. 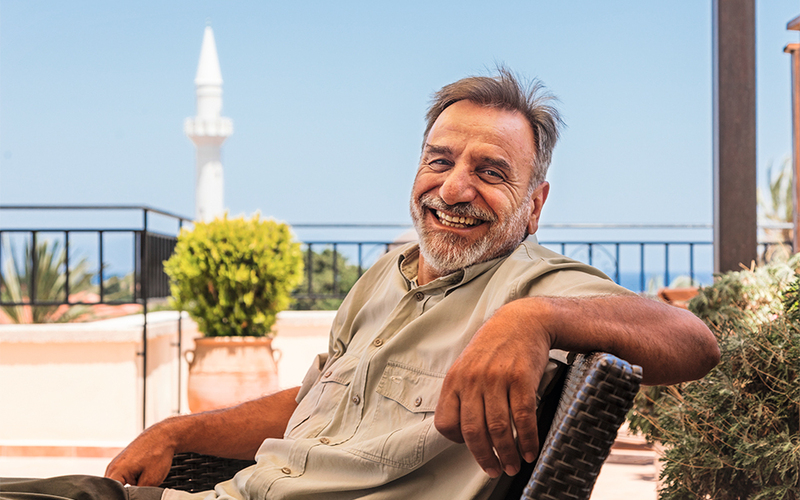 Today, he’s one of the propagators of the age-old craft of jewelry-making that flourished on the island until the mid-20th century, when there were still a number of jewelers working here, many involved in exporting as well. Their designs used motifs related to Rhodes, including the stag, the knight’s cross and the rose. Inspired by the fascinating medieval landscape in which he lives, Lefteris has moved beyond these older designs. His camera lens has immortalized both the important events and everyday life on the island since the ‘70s. There have been exhibitions of his work in Greece and abroad, and he has published several books of photography. In 1999, just before the turn of the millennium, he invited three renowned photographers from Magnum Photos to Rhodes. They documented the effects of the tourism boom, visited traditional houses and discovered the island’s unspoiled beauty.